Sticker Story – Get Your Daily Dose of Bubble Pups! A simple gesture can make someone’s day and we believe animated stickers can too, so we’re bringing Bubble Pups back again, but this time, for your daily reactions. No, this isn’t one of White Pup’s tricks. Yes, this is the real deal. Frog and Horse are Back in Action! Frog and Horse, the quirky duo, are making their third appearance on WeChat with the new Frog and Horse 3 sticker pack. Since the introduction of their first sticker set, the two have risen to stardom amongst WeChat users and are ready to show off their best dance moves yet. This time, disco-style. You haven’t seen anything, if you haven’t witnessed Frog’s body rolls, Horse’s batusi or the pair’s synchronized hair flips. The set features 24 hip shaking stickers that will get you in the mood to party like a rockstar. 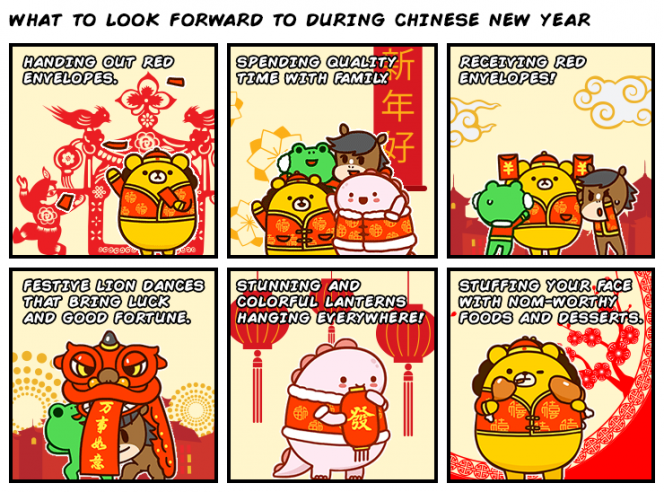 Be sure to download them today in your WeChat sticker gallery! 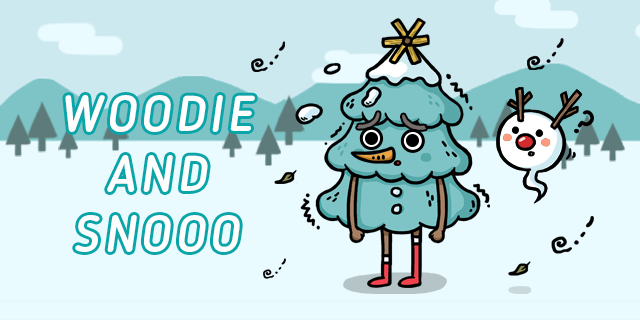 The inseparable duo, Woodie and Snooo, are here as this year’s holiday sticker set! Woodie and Snooo typically roam around villages around Christmas time, trying to find warmth together. The duo has built a strong relationship with each other by sticking around one another during the cold winter months. Woodie the Christmas tree is full of spirit, but usually has more mood swings than Snooo. He is very excitable, but always gets let down because his expectations are higher than the outcomes. As a drama queen, Woodie tends to blow things out of proportion and exaggerate even the smallest things. But at the end of the day, he relies on Snooo to be there for him, especially when it gets cold. Sticker Story – Bubble Pup is Back and Cuter Than Ever! They say that laughter is the best medicine and we believe that cuteness can be too, so we’ve brought back the adorable pup for a second time around with the Bubble Pup 2 sticker pack. That’s right, your favorite puppy and his new sidekick are up to new tricks just for you. Green Pup seems to always be getting the short-end of the stick. Although he is very alert and astute, he always falls for White Pup’s pranks. But even through all jokes, he still cheers her on, sending flowers when she’s down. He’s a true friend who is around in both good times and bad. Remember when you first downloaded WeChat and found out that you could send awesome animated stickers to your friends? The first one that you probably used was Tuzki, the emotive bunny. Although his face is difficult to read, Tuzki knows exactly how to express himself with his body language. We’re bringing him back AGAIN, but this time, as your work stress reliever. Singapore celebrations have already begun in anticipation of the nation’s 50th birthday on August 9, 2015. And do we have a treat for you! WeChat is bringing Ang Ku Kueh Girl (AKKG) stickers straight to WeChat. Wang Shijia, the designer of the AKKG stickers, was inspired to create AKKG from the traditional Singaporean snack Ang Ku Kueh, or red tortoise cake, a soft sticky glutinous rice pastry wrapped around a sweet center. The stickers are meant to spread the beauty of Singapore’s local heritage and culture through universal values such as love, kindness, tenacity and gumption. 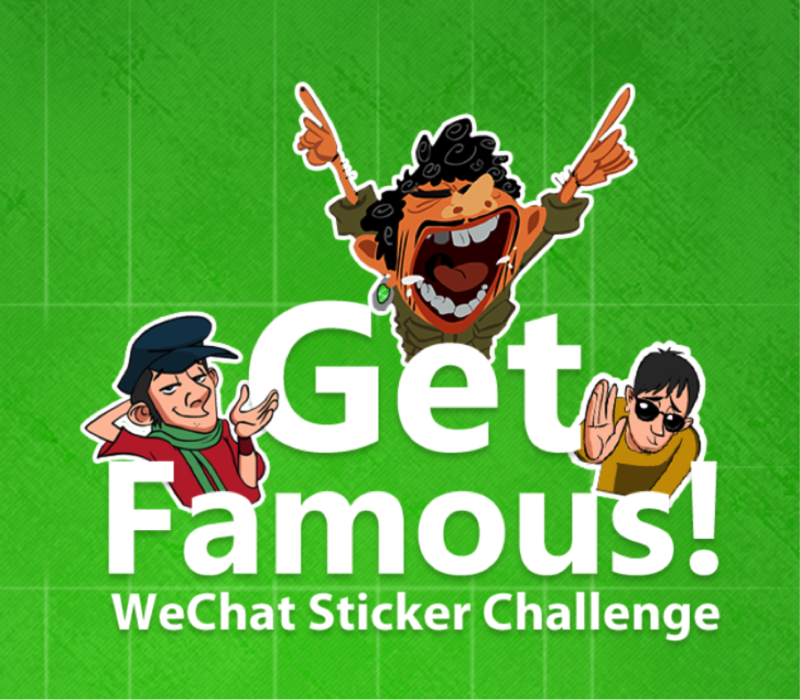 WeChatters in India – Design your own WeChat Stickers and Win! We know you adore our vast library of stickers and love using them to express your personality and emotions. For our WeChatters in India, you now have a chance to put your creative minds to work and develop stickers that embody your personal style and unique ideas. Introducing the WeChat Sticker Challenge, where students from over 1,800 design and art schools across India are invited to submit their own sticker set designs and win up to ₹500,000 ($7,864 USD). Best of all, the winner will have the opportunity to showcase their talent to millions of people! Submissions end on July 30, 2015, so put your creative thinking cap on and enter the challenge now! Who knows, your sticker could be the newest addition alongside MamaBB Pau and The Ballers. We can’t wait to see your entries. Don’t forget to download WeChat to see our gallery of stickers for inspiration, or even share your ideas with friends on Moments! 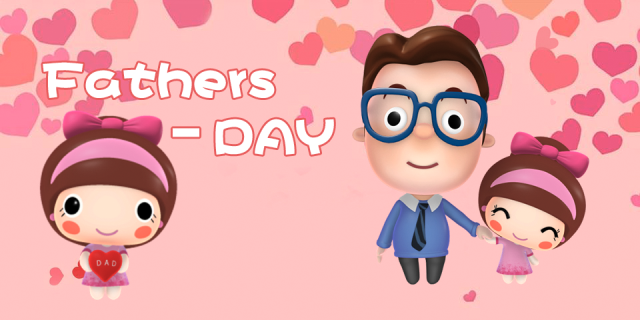 From all of us here at WeChat, we’d like to wish our beloved dads around the world a Happy Father’s Day! To celebrate this special day, we’ve released Dear Dad, an adorable father-daughter sticker set that truly illustrates a father’s unconditional love and support. Whether you’ve just graduated from high school or have your own kids, these stickers are sure to put a smile on your face and take you down memory lane. From reading with us and dropping us off to school, to teaching us how to play a new sport or giving us piggyback rides; dads are our loving heroes and mentors and we will treasure them no matter what. 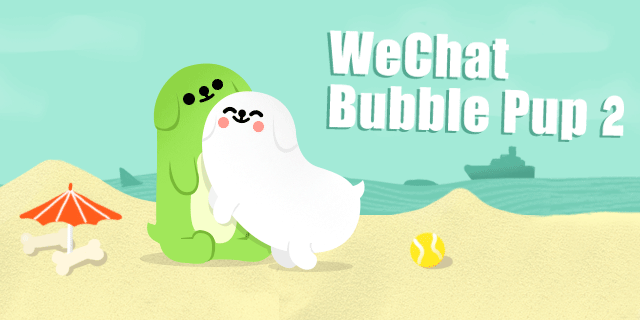 Download WeChat to share these cute stickers with your dad. It’s a great way to wish him an amazing Father’s Day and to let him know just how much you love him. Note: Dear Dad is available in select countries. Sticker Story – Your Beloved MamaBB Pau Stickers Are Back! In our busy lives, we don’t always get to spend enough quality time with our families, but it doesn’t mean we can’t find ways to share the everyday moments with our loved ones, letting them know we’re thinking of them. Whether you’re living in the same city or oceans apart, it’s fun and easy to stay in touch with your family through WeChat. With all the different features, there are multiple ways to show your love, via stickers, Sight, group chat (this one’s especially useful for all you WeChatters who have a lot of siblings) and more. After the recent Mother’s Day holiday, we were inspired to create a sticker set that showcases the relationship between a mother and her child. So today, we are re-introducing your favorite mother-son duo, Mama and BB Pau, the cute xiao long bao (soup dumpling) stickers. With the NBA Playoffs in full swing, we’ve decided to launch a new set of stickers featuring “The Ballers.” The Ballers are the dream basketball team – they are determined, hardworking and focused. And while they’re serious about playing big, they also know how to have some fun. 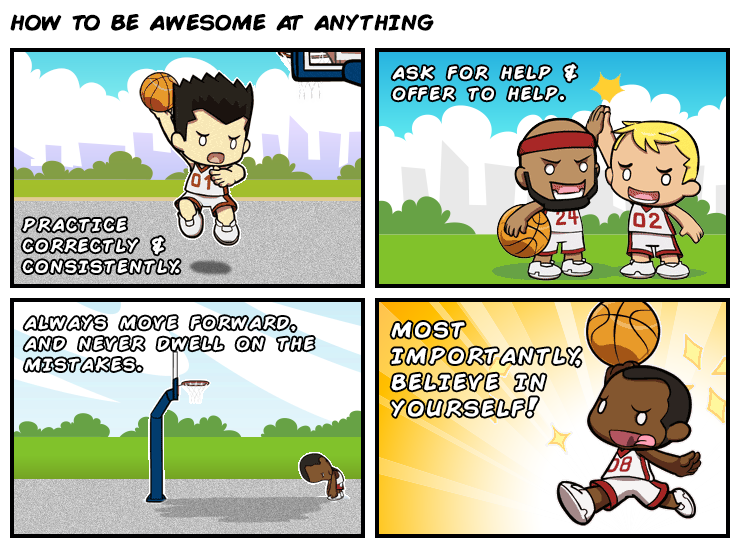 So let’s meet our court-side heroes – AJ, Chris, Nick and Harry. They’re great friends both on and off the court and have amazing team chemistry. When they’re not competing against other teams, they can be found working out and ballin’ against each other. With summer just around the corner, it’s the perfect time to get back in shape (if you’ve fallen off those New Year’s resolutions). And what better motivation is there to get “fitspired” than by buddying up with WeChat’s newest sticker, Healthy Doughnut? We know what you’re thinking. 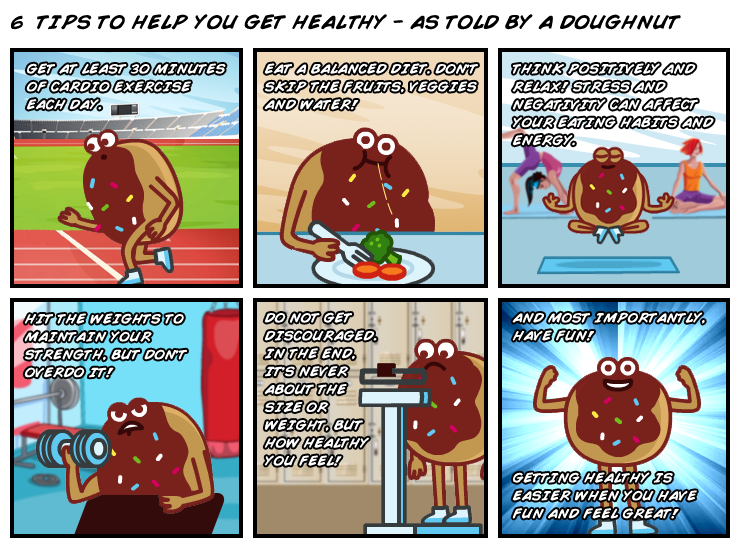 How can a doughnut motivate me to get healthy? Once you get to know our loveable new sticker, you’ll soon see how. Introducing Artemis – WeChat’s newest sticker. 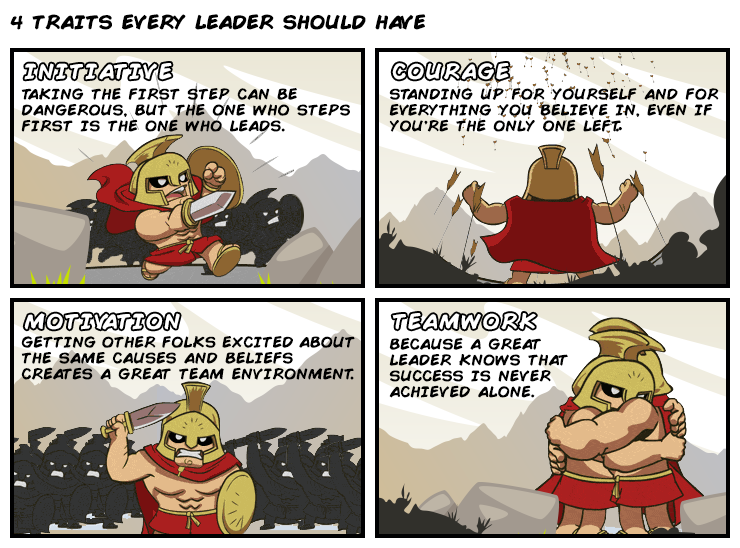 He is everything you would expect in a Spartan Warrior leader – strong, tough and fearless. He loves nothing more than winning and with his strong muscles and big brains, it’s no wonder his fellow warriors admire the leader he is today. Aside from smashing his workouts, Artemis is also quick on his feet. He can formulate combat strategies that will outwit his enemies in the trickiest of situations. And despite his gruff appearance, Artemis is a loyal leader who will always put his people first. So long as he’s around, his fellow warriors and the citizens of Sparta know that they are in safe hands. Whether you’re getting ready for the playoffs or battling it out with friends on one of WeChat’s games, channel Artemis’s fighting spirit and you’re sure to come out winning. Download Artemis from the Sticker Gallery today! Available in select regions. This year, Mon-Mon, Curly Pete and Frog and Horse are gathering around as one big WeChat family to honor the Lunar New Year. Each one has their own special spin on each tradition that when they all come together in one sticker pack is sure to bring happiness to any chat conversation. So whether you are asking for red packets on WeChat, saying thank you for them or sharing good memories, be sure to drop one of these sticker friends while chatting. 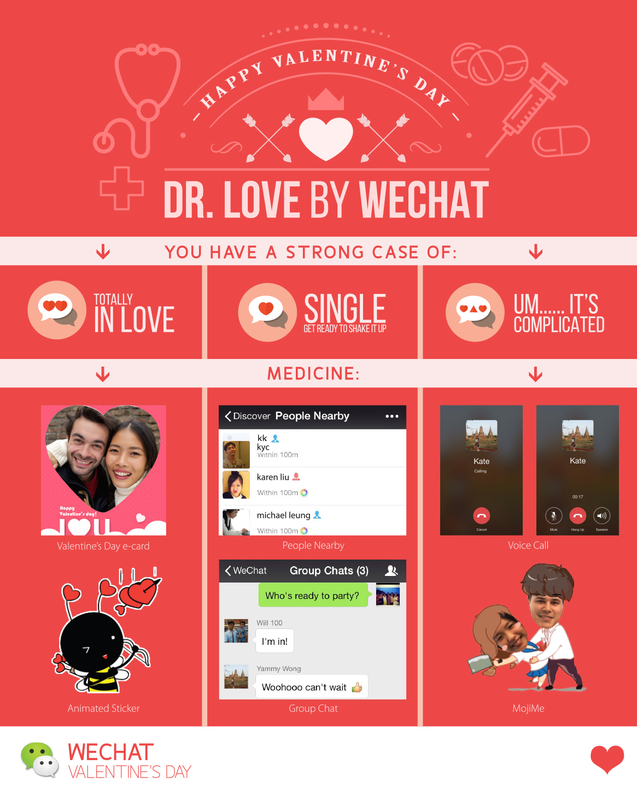 Whatever your relationship status this Valentine’s Day, WeChat has all of the tools to help you celebrate this romantic time the way that works for you. Feeling warm and fuzzy with butterflies fluttering in your stomach? Or maybe you can’t stop thinking about that special someone and your eyes light up when you’re with them. That’s what they call love, and we have the prescription for it. Every romance has its own special story and sometimes, regular cards just don’t cut it. Instantly customize your photo then send the free e-card to your special someone. Get started by visiting the menu in the WeChat Team account. If a picture is worth a thousand words, then imagine how many love letters you can write with animated stickers. Melt your lover’s heart with our “Sweet Love” and “Trainee Cupid” sticker sets. Download them for free in our sticker gallery.